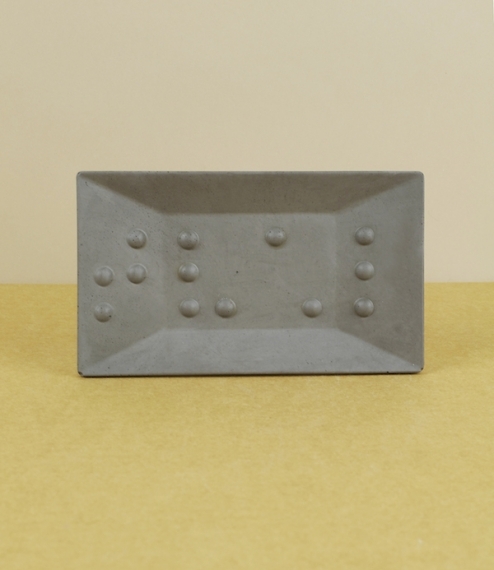 A hand-cast fine 'soft' concrete soap dish embossed with the (Swedish) braille symbols [⠎⠧⠡⠇] which is tvål, the Swedish for soap. 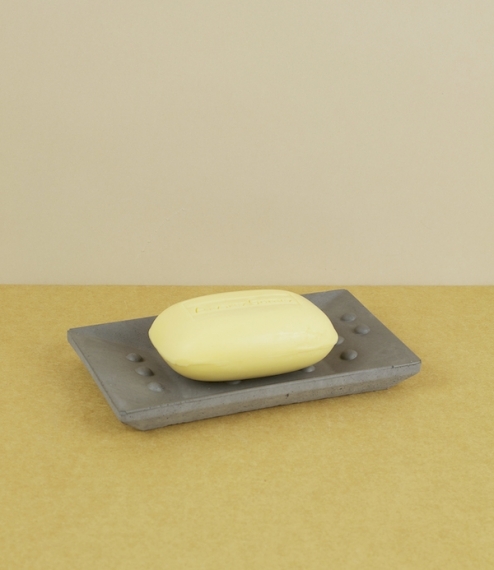 As well as identifying the dishes purpose and contents the raised dots lift the soap from the dishes surface allowing it to drain and dry properly. 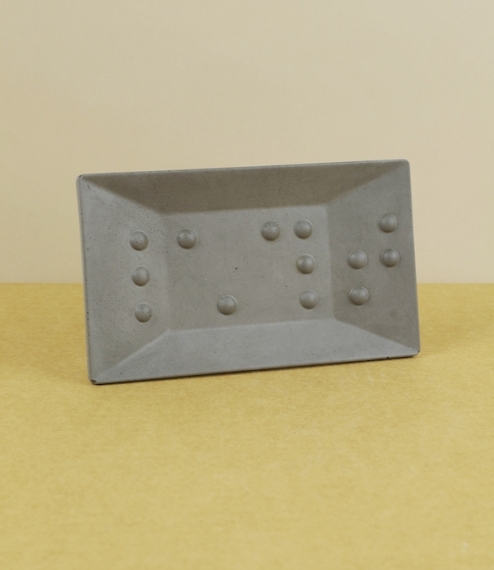 Made in the workshops of Iris Hantverk, where visually impaired craftsmen find gainful employment in the production of hand sewn brushes and unique considered home-ware. Measures approximately 15cm by 9cm by 1.8cm high.